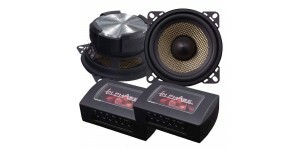 Our line shallow subwoofers are designed to provide wider installation options for a broad range of vehicles. 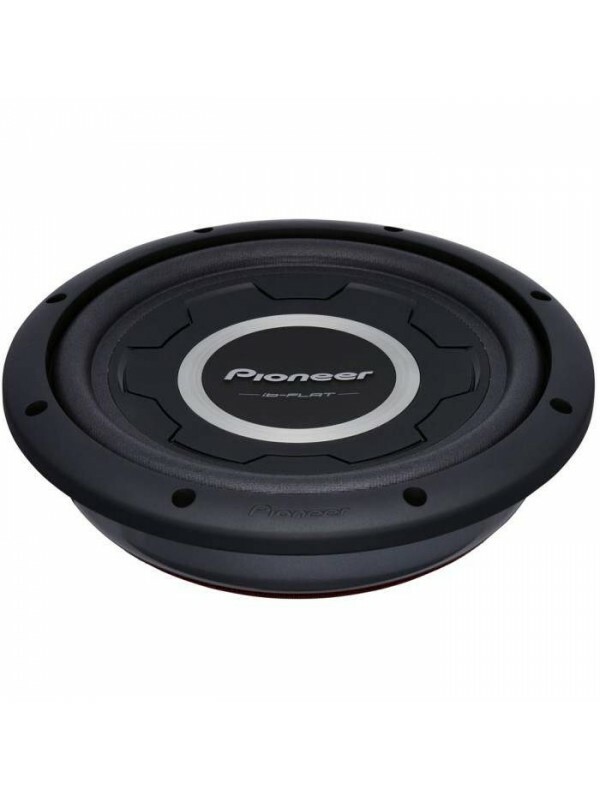 These "Shallow-Mount" Subwoofers feature multiple patent-pending features to deliver the big bass performance of a full-size subwoofer, but in a compact design that can be installed either behind or under seats depending on the type of vehicle. 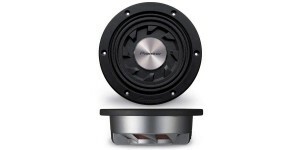 The mounting depth is just 2-7/8" - less than half a typical subwoofer in this class. 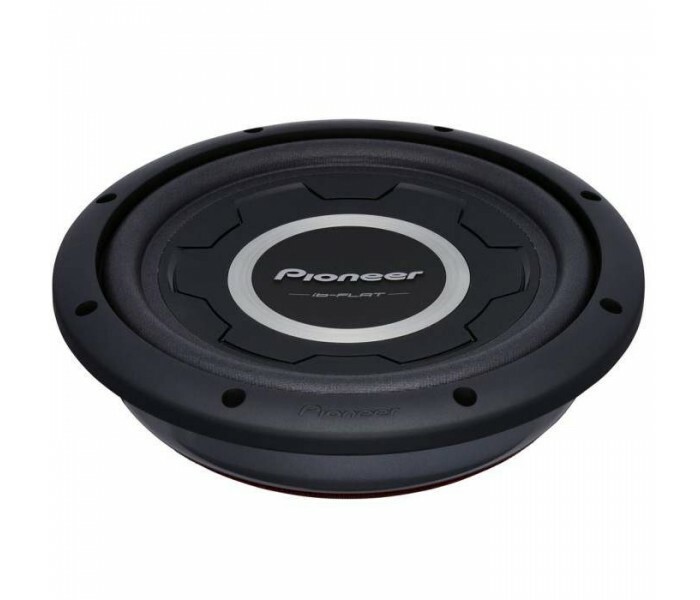 This 10" shallow subwoofer handles 1200 watts max., 300 watts nominal power, and delivers deep bass with top-notch sound quality thanks to features like Pioneer's extremely strong and lightweight Interlaced Basalt/Carbon Fiber Reinforced IMPP Cone, the patent-pending M-shaped Surround, and more. To ensure that you get more natural bass, we’ve incorporated out new Basalt fiber technology into our shallow subwoofers. The volcanic-rock fibers create a cone that is lightweight, rigid, well damped, stable in temperature extremes, and more environmentally friendly. In short, this bass really rocks. One of the new patent-pending features is called the "Air Suspension Control System". This design locks in air between the main cone and drive cone, ensuring smoother and more precise movement of the cones, for superior linearity. The locked-in air behaves like a spring, so there's no need for a traditional spider structure. The drive cone also deflects air pressure inside the enclosure, which further contributes to the remarkable bass of the small package. Shallow-Type Subwoofer Here's a 20cm sub that is ..